I had the privilege of reviewing Suzy Sirloin products last year. It was a wonderful introduction to a wonderful company. I was really impressed with the quality and taste of the meat they offer, so when the opportunity came about to review their new line of organic beef, I couldn’t wait to try it! 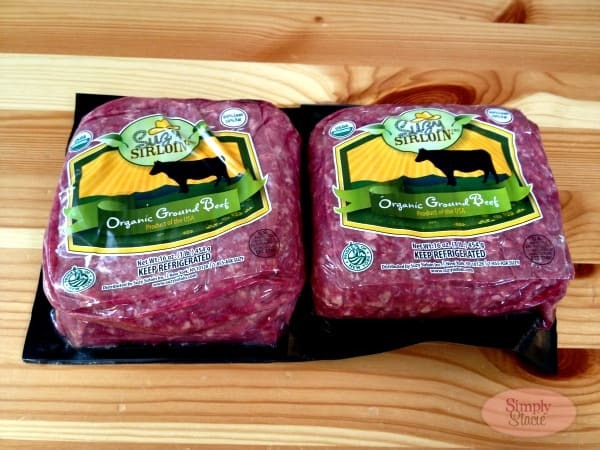 Organic ground beef is the latest addition to the Suzy Sirloin product line. The beef is USDA certified organic, from pasture raised cattle in upstate New York that never receive antibiotics and are fed only certified organic grass and grains. The beef is 90% lean, with only 10% fat. This beef is healthy and nutritious and something you can be proud to serve your family. 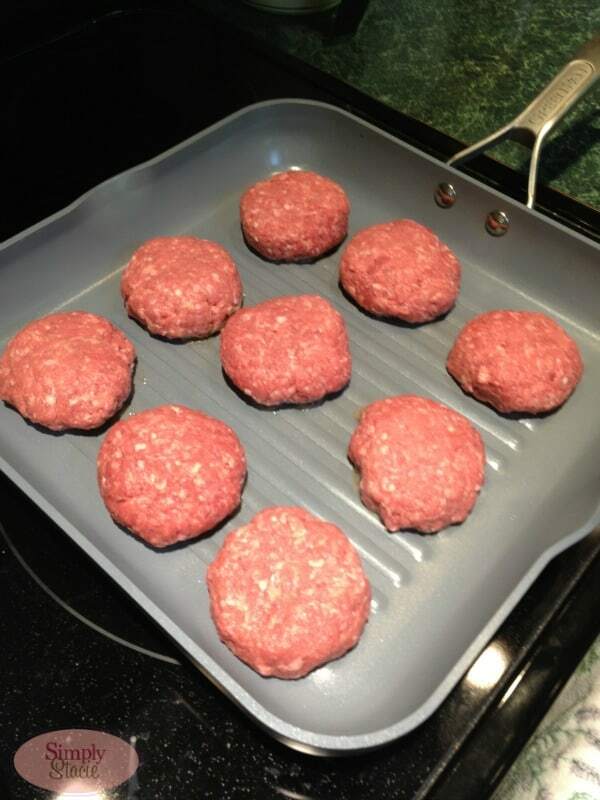 I received two one-pound packages of organic ground beef from Suzy Sirloin for review. 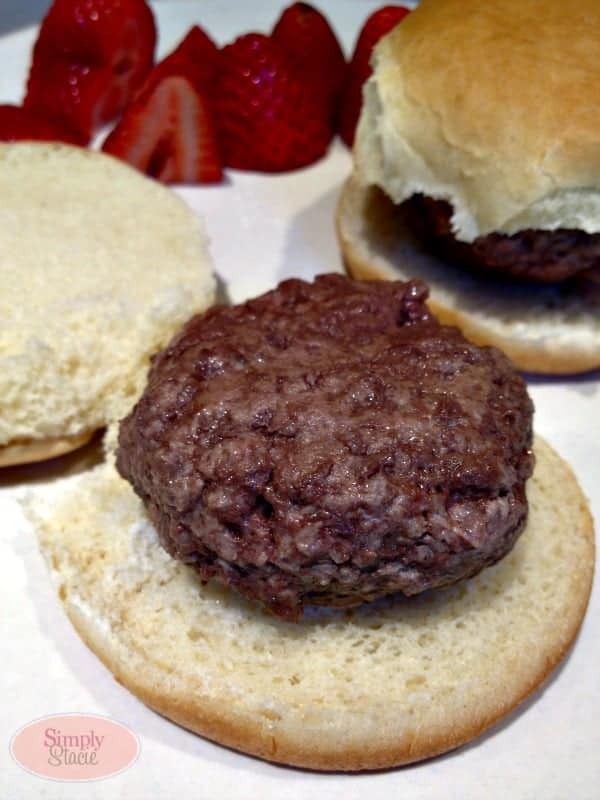 My husband and I thought it would be fun to make sliders with the beef. We decided not to season the meat as we cooked it, we wanted to experience the beef in it’s pure form. I have to say, this was the best tasting beef I think I have ever had in my life. It was so juicy and flavorful. I didn’t even use ketchup (a usual staple on my burgers!). Even the kids were fans – finishing every bite of their little burgers. I love not only the taste of this beef, but also that it’s a healthy choice for my family. I feel good about serving this organic beef to my kids. Suzy Strassburger (the Suzy in Suzy Sirloin) is continuing her family’s long legacy of delivering top quality prime and aged beef to the best steakhouses in the US. Suzy Sirloin offers all natural beef and gourmet sausages that are delicious, nutritious and healthy. Suzy Sirloin offers only the finest in American raised beef, pork, lamb and veal, provided by hard-working American farmers and ranchers who raise them with superior care, feeding and husbandry practices. To see the full line of Suzy Sirloin products, visit the website. I would love to try their veal. I would like to try the lamb racks. We’re writing because one of our dried sausages was in the goody bag provided to you at the Danbury Whole Foods opening. We are a producer of all natural specialty meats and butters, produced locally. Our products include an exclusive line of meat products for Whole Foods, under the brand Chestnut Valley. Look for the whole range of dry cured sausages in the deli area, and fresh sausages in the meat department. Also in the meat are our Aux Delices des Bois brand spiced bacons and – just in time for summer – Grilling Butters. The extraordinary seasonings that flavor our products are just the icing on the cake. We are in the NO business: no nitrates, no hormones, no antibiotics. No artificial anything, ever!